The Human Rights situation in Guatemala is getting worse and worse. This year four activists who defended the rights of farmers and indigenous people were killed within a period of only 10 days. Most recently, Juana Ramirez Santiago, a midwife and founder of Network of Ixil Women — an organization fighting for women's rights — was shot dead in the street. This tragic murder must not go uninvestigated. In different areas of the country, many people are mobilizing to demand land for indigenous groups and to defend their basic rights. But the price to pay in this fight is still very high. 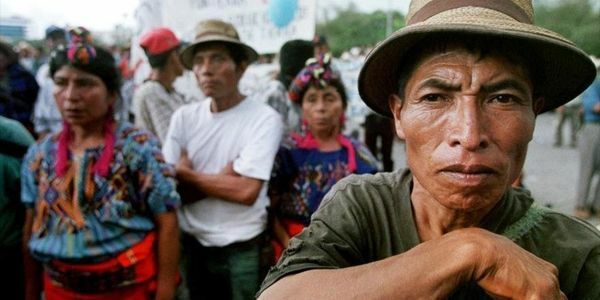 According to the UN, indigenous and peasant organizations are suffering continuous threats and aggressions, which are ending in murders of their members in many occasions. If Guatemala wants to be considered a full democracy, it cannot allow this situation of constant violence against organizations that are simply defending the rights of the weakest and most unprotected citizens. Sign now this petition to ask to the government of Guatemala to investigate these murders of Human Rights activists as part of their effort to strengthen the rule of law, the protection of freedom of expression and judicial independence.